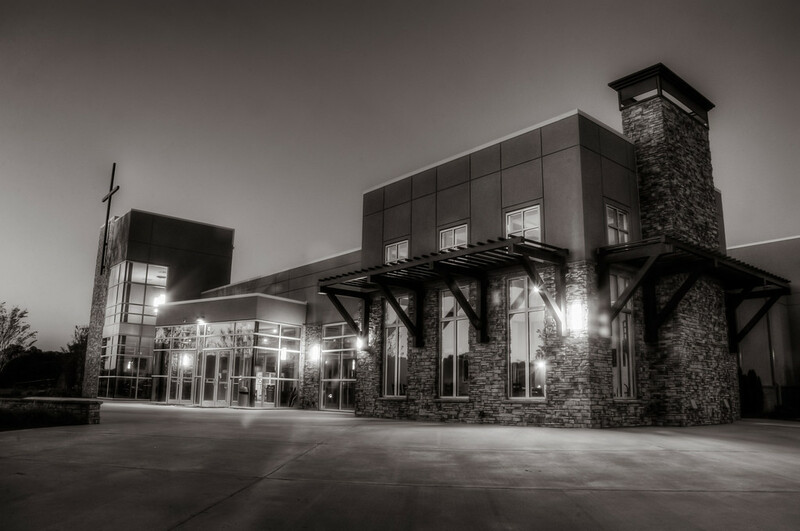 Cedarcrest Church | Just Shooting Memories! Architecture has a great chance to be beautiful any time of the day. I happen to think dusk is one of the best times to photograph architecture. The lighting has a tendency to accent textures of the buildings and lights are usually on. That was how I found Cedarcrest Church just before dusk fully set in. I snapped a few around the church and ended with this shot.